In today’s Quarterly lesson the discussion is on such things as having 'a well-organized program’ (of evangelism) and suggests that you need to discover where "your chosen evangelism and witnessing activities will fit with the church’s plans and help to reach their goals". While much of what is said has the sound of being good advice there is one certain critical concept that is totally missing in this lesson. First and foremost it is God who is in charge. He is the one who plans and directs the activities of what is really his creation which is his Body the Church. He does this through his gift of the imputed indwelling of the Holy Spirit in accordance with the benefits of the gospel message and his revealed will written in his Holy Scriptures. Not without the coming and leading of the Holy Spirit as described in Acts Chapter Two, known as the Day of Pentecost, could the followers of Jesus Christ do anything except pray and wait upon the Lord. Not until the giving of the Holy Spirit did they have the power and wisdom to obey Jesus command to evangelize the world as recorded in Matt. 28:18-20. We can do nothing without the indwelling power of the Holy Spirit. The true Body of Christ always has been and always will be personally directed by the Holy Spirit. It has never been about or by the leadership of human devised denominations or other organizations no matter how effective the Lord may be manifested and working within them. Jesus teaches that it is the ordained role of the Holy Spirit to comfort us and lead us into all truth, John 15:26, 27 & 16:1-15. This would certainly include knowing your role in the evangelistic goals and mission of both you and your church. 1 Cor. 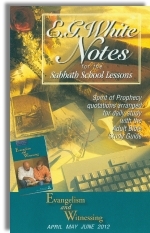 12:7-11 lists the gifts of the Holy Spirit. Note well that as gifts they are not something you have because you have asked for them. It may be that you might desire one or more of the gifts but you don’t have a gift unless the Holy Spirit desires to give it to you. Verse seven goes on to say; 'To each is given the manifestation of the Spirit for the common good’. This is the foundation for your ministry both within the church and outside in the world of the unsaved. Each and every member of the true Body of Christ is promised one or more of the gifts of the Holy Spirit for their common good. 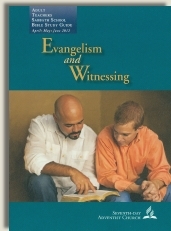 It is within this context that the Body of Christ the true Church will evangelize the world and it is within this context that you can and will know your own role as an evangelist proclaiming the pure simple gospel message in your own unique way as personally led by the Holy Spirit. One caution: The true Body of Christ also known as the Universal Church is not a creation of man or any manmade organization. The True Church was established by God almost two thousand years ago at the giving of the Holy Spirit during the day of Pentecost.